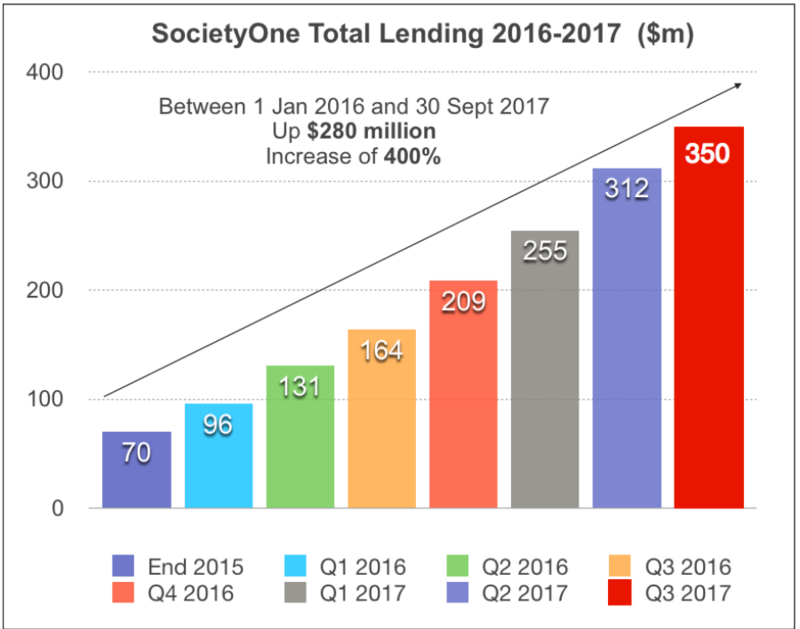 Australian P2P lender SocietyOne has revealed it has issued more than $350 million in loans on its platform since 2012, reports Julie Muhn at Finovate (Banking Technology’s sister company). Additionally, the company has the highest number of current loans, setting a record for itself with $200 million in its books. “Our growth in 2017 underlines the demand from consumers for a real alternative to the major banks. Consumers are looking for a better deal on their finances and our risk-based pricing is attractive for customers that have demonstrated that they have a good credit history,” says Jason Yetton, CEO and MD of SocietyOne. The company’s loan volumes have seen seven successive quarters of growth. In fact, loan volumes in the first three quarters of this year have totaled $141 million so far; surpassing the $139 million in loans facilitated over the entire course of 2016. Yetton also noted the growth of SocietyOne’s AgriLending product, which launched in 2014 to serve Australia’s farmers and ranchers. Out of the $350 million in lending on the company’s platform, $80 million was issued to farmers, ranchers, and their agents via AgriLending. “I’m also pleased at the way we are getting behind Australian livestock farmers as the growth in SocietyOne AgriLending has shown. The team is standing ready to help them even more so as rural and regional Australia waits for the rains that will kick start the Spring growth and rearing season,” says Yetton. SocietyOne offers borrowers personalised repayment programmes with lower interest rates than major banks. Users can borrow between $5,000 to $50,000 for unsecured, personal loans for two, three, or five year terms. In August, the company celebrated five years of facilitating loans. Australian peer-to-peer lending firm also gets new CEO. Fintech and marketing services company Kasasa unveiled its newest offering, Kasasa Loans, which lets consumers pay ahead to reduce debt and take that extra money back if they need it. Citing the strong “alignment between car shopper and car dealer motivation”, Global Lending Services has forged a partnership with auto financing specialist AutoGravity.